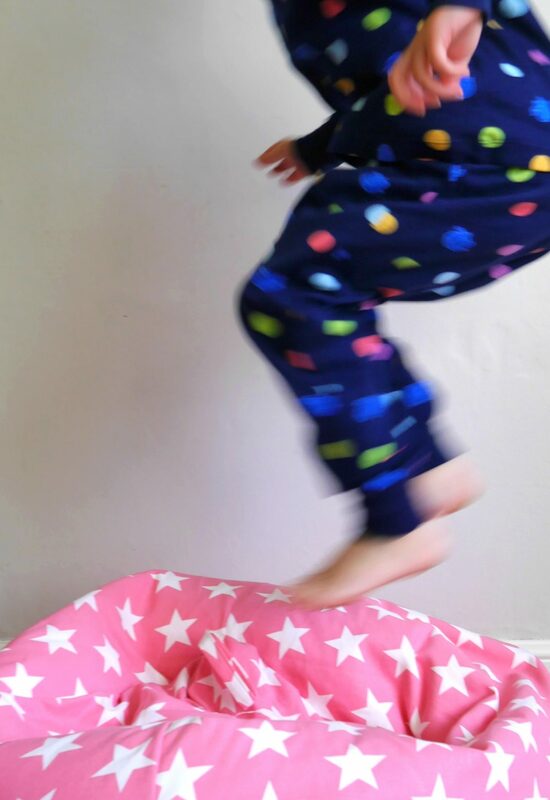 Bean bags of fun from Great Little Trading Co.
Fast-forward a few decades (!) 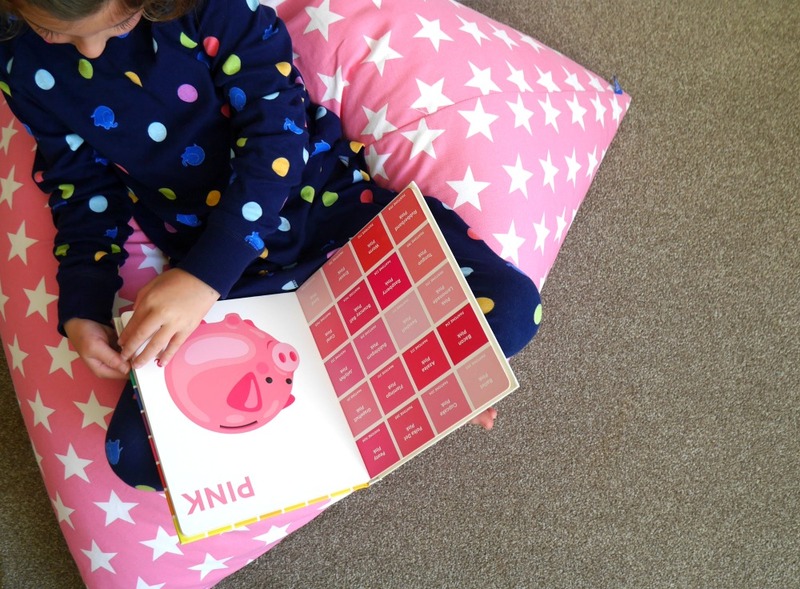 and we’ve been testing out the Great Little Trading Company Pyramid washable bean bag to see if this modern-day version is our bag. 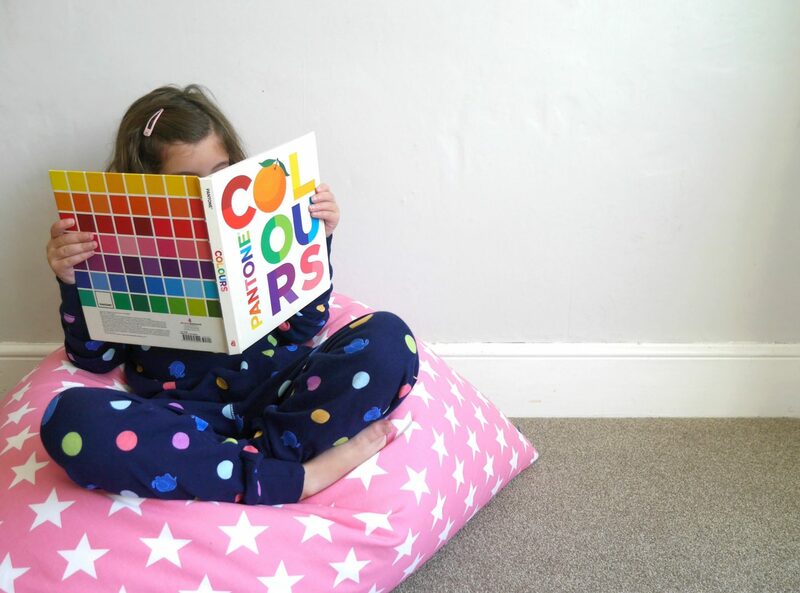 We’ve been looking for either a big cushion or bean bag for a while for the girls – we wanted something that was portable but didn’t take up too much floor space, that they could cosy up in when reading. 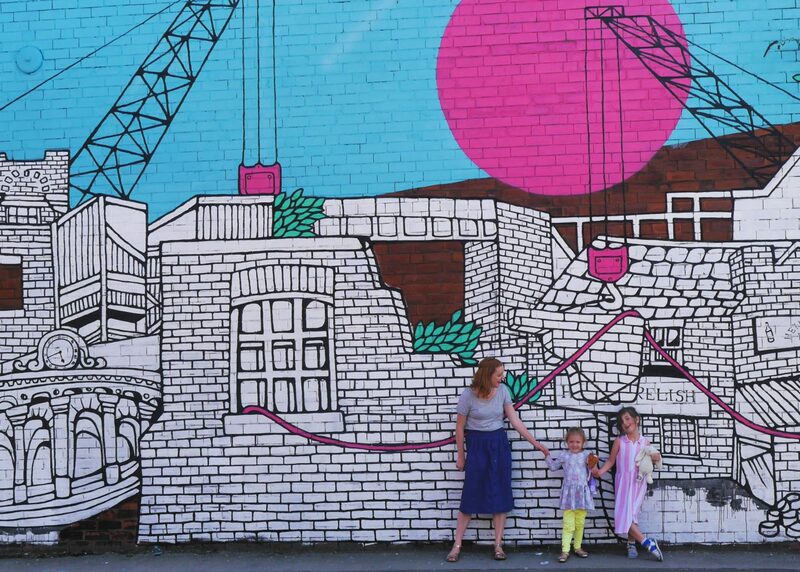 We also wanted it to be comfortable for those super-early morning moments when only CBeebies will do, to hopefully give us a little bit more space in the bed and about five more precious minutes of nap time. 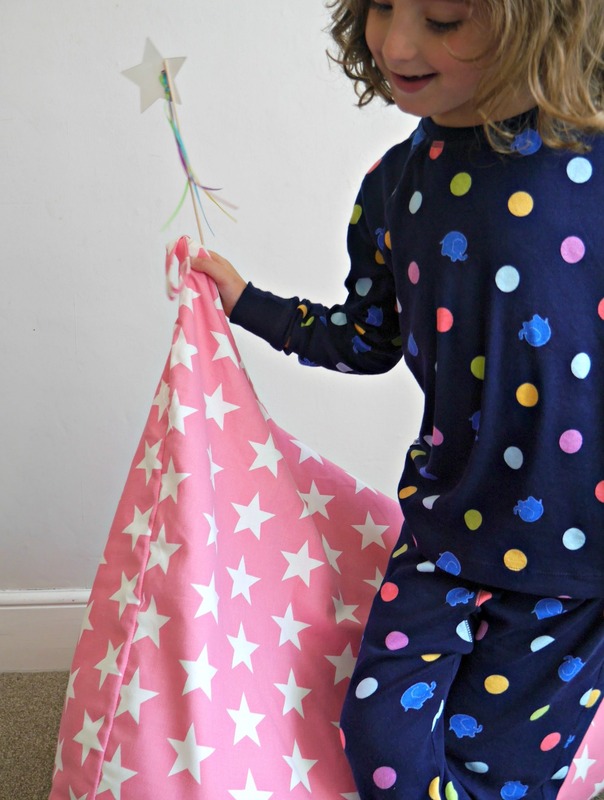 Having recently joined the testing team for Great Little Trading Company – read our first review of the Easy Reach Storage unit – we were sent one of the washable pyramid designs. 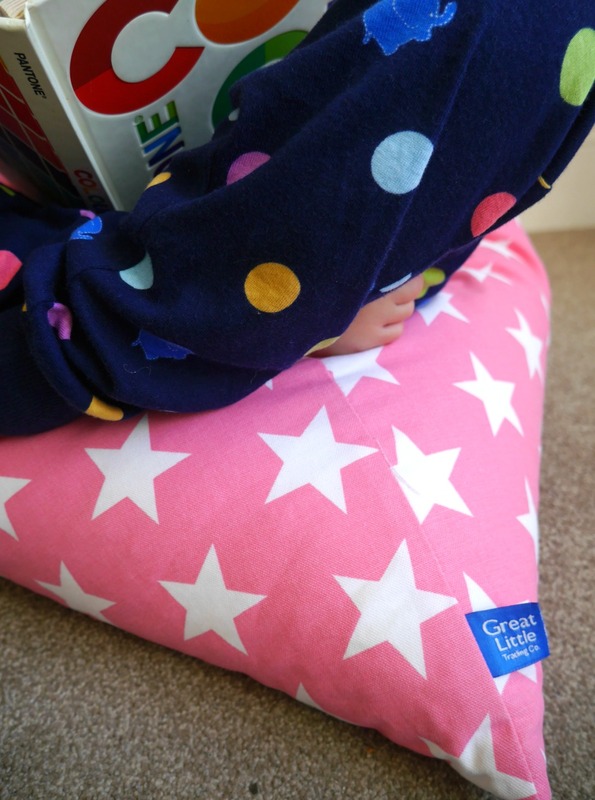 So what did we really like about the GLTC Washable Pyramid bean bag? 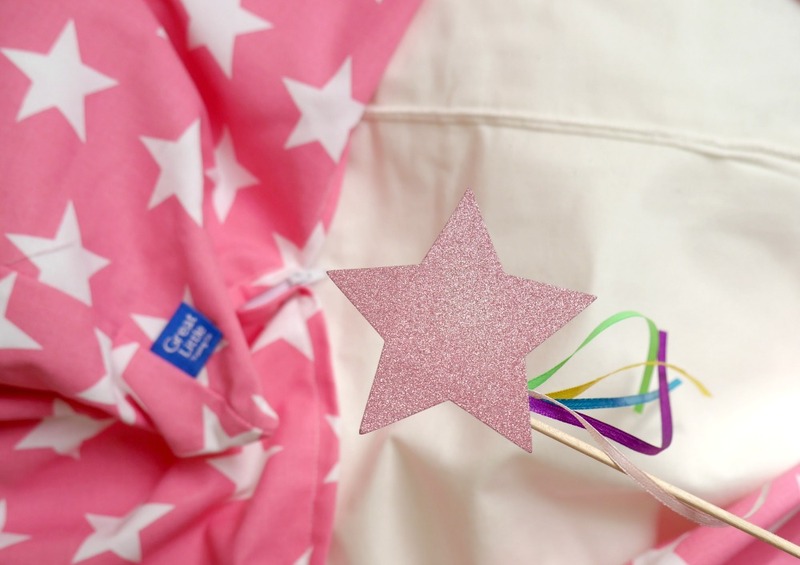 One of the genius things about the cotton cover it is that it zips off and you can wash it (considering the amount of potentially messy snacks my children eat, it’s bound to need this at some point). Colour-wise, hands up here, I didn’t choose the pink (I would have gone for the lovely neutral grey, or the navy, and there’s also rainbow coloured confetti and dots, too). But the pink-chooser loves it a lot. And it’s a vibrant and bold colour and the design is simple; definitely, no garish character prints here as you do often see with bean bags. And is it comfortable? Yes! It’s squishy without being too slippery to sit on therefore it makes a really cosy reading nest. And as we’ve found, it’s a good backrest for any adults watching TV on the floor. At £75 it is more than your average character-design one. However, it’s brilliant quality, looks great and is really comfortable; we’re buying another one….for the children. Really.